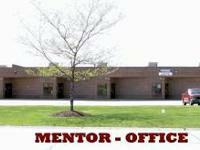 Last year, Mentor's Small Business Park, strategically located at 7575 Tyler Blvd in Mentor, came under new ownership and management. 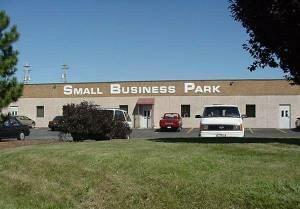 The 3 building complex is VERY EASY TO FIND in Mentor's commercial and industrial district on high traffic Tyler Blvd. Right now, we have a limited number of available units, ranging in size from 112-128 square feet. With our 3 buildings, we can satisfy almost any need for space. Our units range from 80 square feet to 256 square feet. As an added benefit--as your business changes, you can move to a different unit while staying at the same location. Our great location is perfect for a freelancer, professional or small business owner who has out-grown the current location. 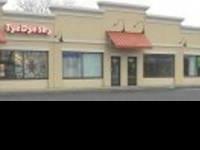 Also ideal for the home-based business owner who needs a professional office to meet clients and customers, or even vendors or investors. Don't look unprofessional and meet in a coffee shop, diner or restaurant when we have the perfect space available at a reasonable cost. 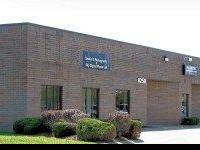 The easy-to-find Small Business Park boasts quick access to Routes 306, 615 and Mentor Avenue as well as the I-90 and Route 2 freeways. And, you also get high visibility from busy Tyler Blvd. You'll also love our amazing rates and terms, with FIRST MONTH'S RENT OF ONLY $95! Call Bob or John at show contact info and get ready to move into your new location!